For the last 2 weeks, we have been working hard on identifying our 2-D flat shapes, counting corners, counting sides, and having fun with different centers. We just wrapped up one of the books that is in our Flat Shape 2-D Unit. The students had a great time reading the book and buttering(highlighting) our popcorn words. We are going to practice reading our books a couple more days this week before we take them home. Next up with our shape unit is some sorting shapes, our edible 2-D flat shapes activities, positional words, and using other objects in the environment to create other flat shapes. This booklet was a fun activity to integrate across the curriculum. We used our math standards along with some reading standards. 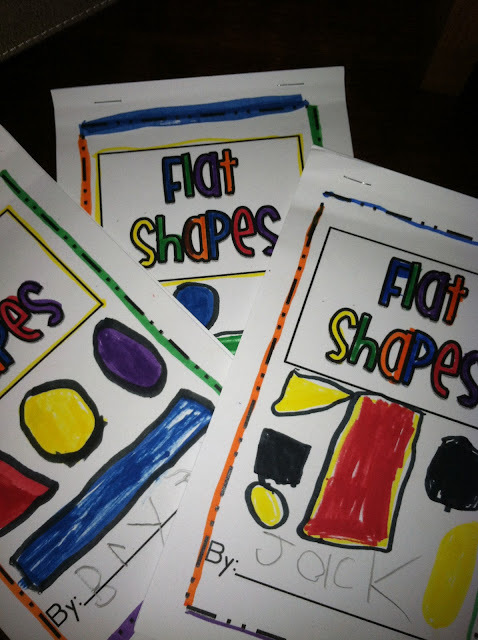 We assessed the students over 2-D shapes and I am hoping that they did a wonderful job. 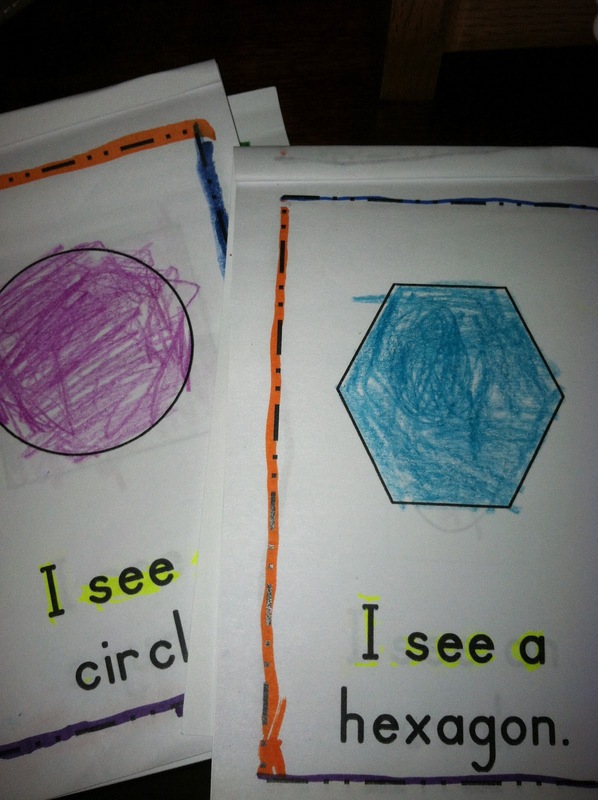 I am going to predict the hexagon was the hardest one! SueBeth helped me design some assessment sheets and checklists that I will show how I am using to help drive my instruction. I would love to see your 2D edible shapes lesson(s)! Sounds like fun! I don't remember if it was you or another blog but I do a 3D edible shapes lesson and the kids have sooo much fun! WONDERFUL!! I haven't started shapes, but your post gets my gears going-thanks! Stop by anytime! SMILES! Yay! We are doing 2D shapes too! This is great! Delightful! I can hardly wait to see what you will be doing for your 3D edible shapes. Hope you share that also.